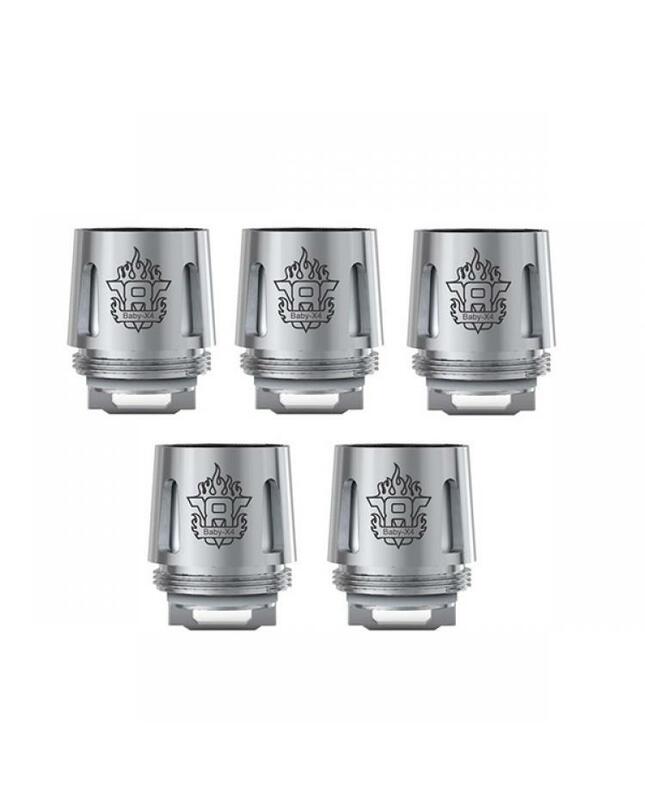 Smoktech V8 baby X4 quadruple coils, 5pcs per pack, the quadruple baby beast x4 coils feature double barrel, quadruple coil setup and designed to enhance flavor while still allow vape at high wattage, resistance is 0.15ohm, can work at 30w to 70w, best work at 45w to 60w. brings you smooth and silky taste. this new cores only can work on mini tfv8 tank, big baby TFV8 etc.